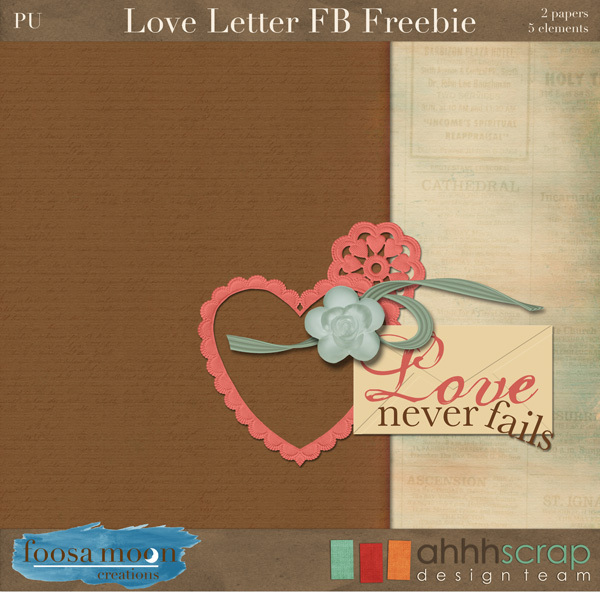 Foosa Moon Creations: New Release and Freebie! Even though it hasn't been very busy here on the blog, I've been busy behind the scenes. I spent a weekend inSalt Lake City at a workshop taught by Carina Gardner. 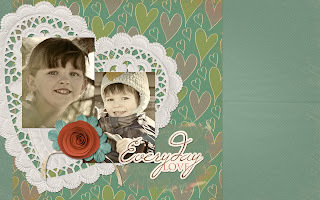 It was a fantastic experience, learning a little more about Illustrator, paper textures and patterns, and lots of fun! I haven't taken a trip without my kids since a few months before my youngest was born, so it's been over 2 years since I had a weekend to myself. It was a very productive weekend, both in terms of knowledge gained and products completed. One of the projects I finished that weekend was the new kit that went in to my store last night. 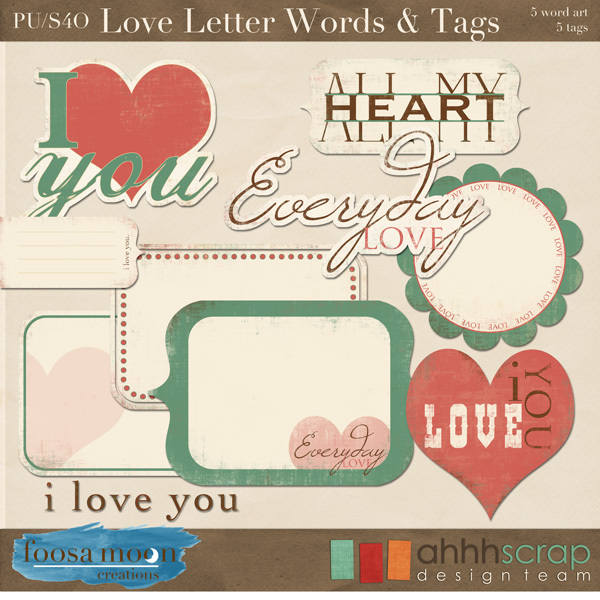 There is also a matching pack of word arts and tags. 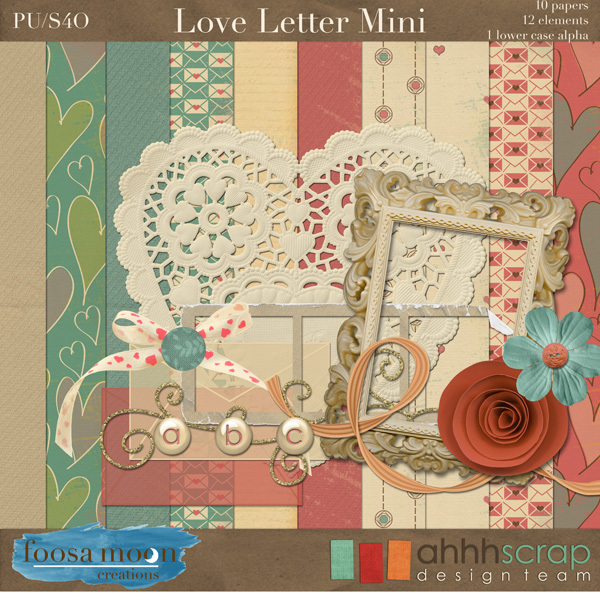 Love Letter is a kit that commemorates any love in your life. 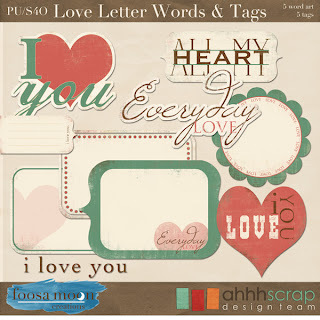 Be it your significant other, a child, a dear friend, or a furry friend. Shoot, I might even go so far as to say my coffee maker would look good on a page. Or maybe that's just too many late nights in a row? The other new thing I have this week is a freebie on my Facebook page. Head over to the Foosa Moon facebook page, hit Like, if you don't already, and on the left is a tab that says "Freebie from FMC". That's where this freebie is located.